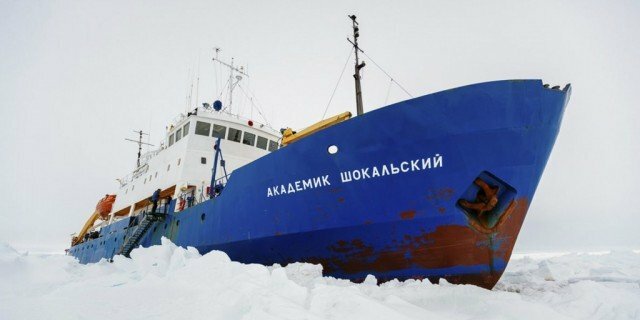 A rescue mission for Akademik Shokalskiy scientific ship stuck in ice in Antarctica is under threat as reports have emerged that one of the assisting vessels may itself be stuck. Fifty-two passengers and four crew members were due to be evacuated by helicopter from China’s Xue Long ship as soon as conditions allowed. However, the Xue Long has barely moved in a day and may be stuck in the ice. The research vessel Akademik Shokalskiy has been trapped for nearly a week with 74 scientists, tourists and crew. The ship is stocked with food and is in no danger, the team on board says. The planned air evacuation required that the two icebreakers in the immediate area – the Xue Long and the Australian Aurora Australis – be positioned close to each other in open water, clear of the pack ice. However, the captain of the Xue Long has told the Shokalskiy that he is keeping his vessel in a “holding position”. The Aurora Australis, is now understood to be planning to carve through the dense thick pack to assist the Xue Long. The initial plan had been for a helicopter from the Xue Long to carry people in groups of 15 up from the pack ice next to the Shokalskiy. The airlifted passengers would then be transferred by a small boat, deployed from the Australian icebreaker, onto the Aurora Australis. The expedition members would then have travelled to Australia’s Antarctic base at Casey some four days’ voyage away. However, if the Chinese vessel is also stuck and the Australian vessel cannot help it reach clear water, there will be no airlift. Under the initial plan, the remaining crew members would have stayed on board until another, more powerful US icebreaker arrived in up to 10 days’ time. However, it may now be that all of those on board may have to wait for the US icebreaker, the Polar Star. Earlier attempts by Chinese and French icebreakers to reach the ship were also foiled by the thick ice. Akademik Shokalskiy was trapped on Christmas Eve by thick sheets of ice, driven by strong winds, about 1,500 nautical miles south of Hobart – the capital of the Australian state of Tasmania.